The Belgium group is composed of sculptors, musicians, dancers and actors whose works reflect their diverse backgrounds. Usually staged in unconventional spaces like factories and beaches, their shows are inspired by the social context and history of the location. 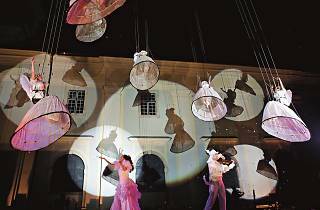 At the Night Festival, their predominantly aerial, fairy tale-like performance alludes to the paintings by Russian-French artist Marc Chagall, which often depict figures floating through the sky. 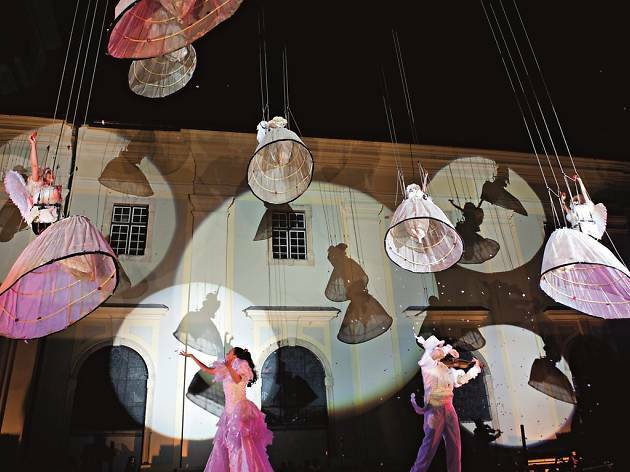 Part of the Singapore Night Festival.